On a wee trip to Asda I spied some new fresh desserts on offer by Asda. 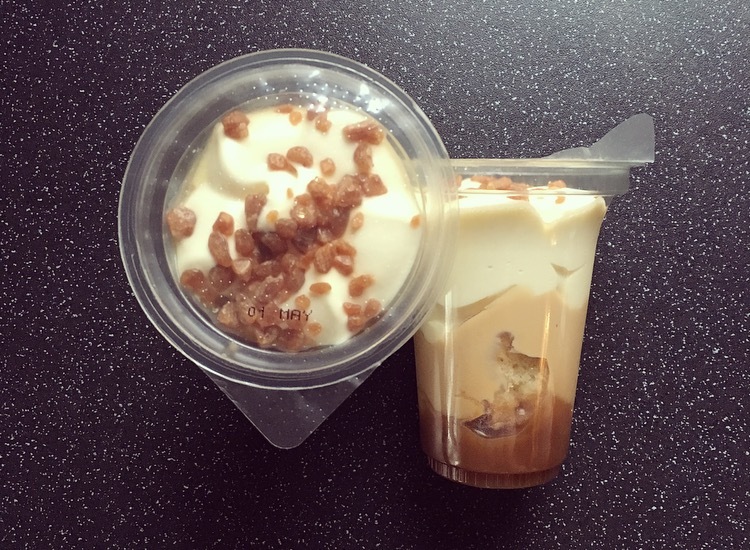 Asda appear to have quite a range out that include Dessert Islands, Honey Teasers, Afternoon Tea and what today’s review is all about, Banoffee Bombs and Blue Yorkers. Banana mousse with fudge and toffee flavour sauces, sponge pieces and toffee chips. 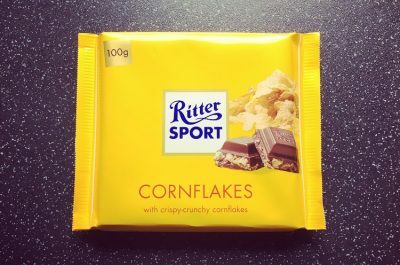 I am having a love affair for anything banana flavoured recently and was pretty excited to find these. Tucking in these were light as a feather. The first layer of mousse was smooth, airy and packed full of authentic fruity banana flavour. From banana to fudge toffee mousse the second layer was butterscotch in colour and tasted like dark rich caramel. The final layer is where it gets a tad bit strange. To go from two smooth mousses and be met with a layer of sponge pieces that tasted like they’d been soaked in a sweet syrup was a strange addition to this dessert and doesn’t really marry up with the other layers, and I would happily remove this layer and it would still be a delicious dessert. 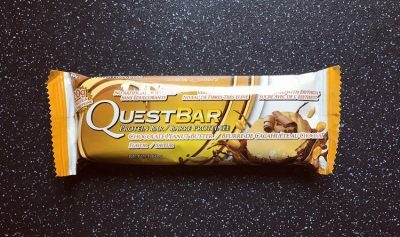 The crunchy topping of toffee pieces cuts through the mousse giving it the perfect bite rather than the soggy sponge situation and gives it that extra element of toffee. Unfortunately though this is not suitable for vegetarians. 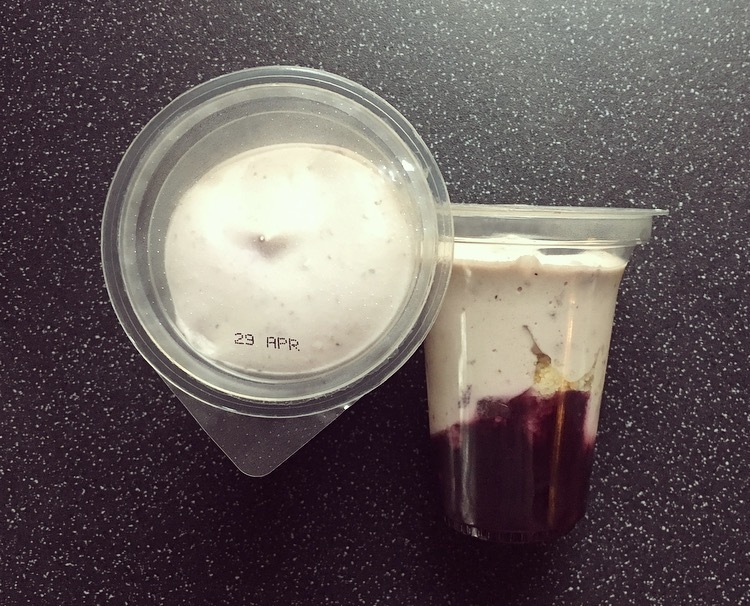 A similar set up as the Banoffee Bombs, this Blue Yorker is set up of blueberry mousse, sponge pieces and blueberry compote. The mousse was airy, light and almost evaporated as soon as I ate it. There were chunks of blueberries hidden in the mousse yet it didn’t seem to pack that blueberry punch that I expected. The sponge layer is far nicer in this dessert pot as they weren’t at all soggy and had a light texture to it. The final layer is the hidden gem! Hello blueberries!! It was thick, sweet, married up the other two layers and had a fresh blueberry taste to it. This compote certainly saves the day and makes a lack lustre dessert into a rather nice one. Again though this isn’t suitable for vegetarians. 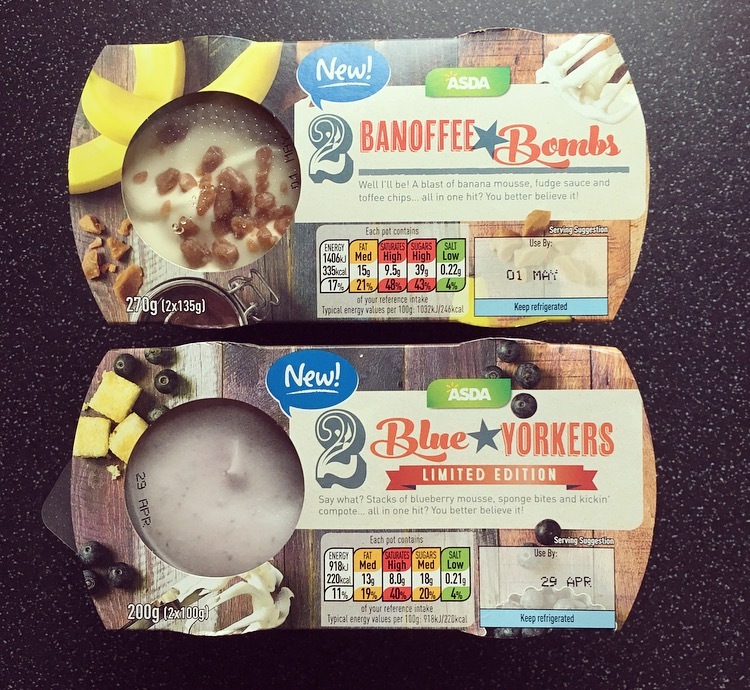 There we have it the new Asda Banoffee Bombs and Blue Yorkers. Of the two my favourite was certainly the Banoffee Bombs, they really were the bomb! The Blue Yorker is nice but nothing special and not one you will miss once its limited edition reign comes to an end.